I think it’s important to recognize all the good things one accomplishes. With regard to my writing, 2013 has been a banner year. I haven’t seen its like in … well a very long time. You may remember way back at the beginning of the year what I wrote about resolutions, how I’m not fond of them, and how I prefer to make reasonable goals so I can have a chance to reach them. It worked a charm for me. I wrote four (soon to be five) new short stories this year and revised six others for submission. This has resulted in three fiction publications (one paid), and another three poetry publications. While the goal of Kasie Whitener’s Just Write Challenge was to write thirteen stories in 2013, I think that eleven was pretty darn good, considering the other things that I’ve accomplished. I sent Initiate of Stone for a content edit in January and revised the whole thing twice. I’ve now sent the manuscript to select beta-readers and have sent it off to one agent and will ship it to one editor shortly. In the mean time, I started on a middle grade fantasy, Gerod and the Lions, and drafted Figments, a YA fantasy, during NaNoWriMo. Since the end of November, I’ve given myself a bit of a break. I’ve written a crap-load this year (because in addition to the 11 short stories, poetry, revisions, and the 50k+ draft, I’ve also tried to keep things rolling with my blog) and felt the distinct need for a rest before diving back into things in 2014. Though I was not able to meet my goal of revising my blog (reader response seemed to indicate it wasn’t a priority) or moving to self-hosted WordPress, those goals remain on the list. This time last year, I managed to accrue 100 followers on my blog. Now I’m over 222. While I’m still considering a newsletter, I continue to hold off. Until I have a novel out, I’m not certain a newsletter will have much value. This year I also attended the Canadian Authors Association’s (CAA’s) CanWrite! Conference (June) and the Surrey International Writers’ Conference (October). Both were amazing experiences, and I learned a huge amount from the sessions at both conferences. Currently, though my services haven’t been much requested of recent months, I’m sitting on the CAA’s Program Committee, and so putting some of my efforts into not only the CanWrite! Conference, but also, the Literary Awards, the Roving Writers Program, and other events. 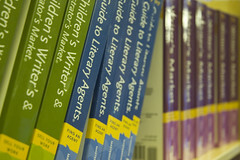 reward discount, and purchasing the 2014 Guide to Literary Agents. As far as what I’m aiming for in the New Year, stay tuned. I’ll have a post on more reasonable goals coming up next week. In the meantime, please share your accomplishments. It really helps to put them down in writing. I think when you see everything you’ve managed over the last year in print, you’ll be amazed. I was. Sorry, couldn’t help the Doctor Who reference. Geek girls rule! congratulations on a good year! I’m curious to hear how you like Scrivener, keep us posted! You’ve managed a phenomenal amount in just twelve months Melanie. Congratulations. I wish you much luck with Gerod and the Lions and other WIP’s and hope that 2014 is a fantastic year for you. I was taken a bit aback when I had everything down in black and white. It’s too easy to remember all of the bad stuff and forget about the good. Geek girls do, indeed, rule! And so do you. Congratulations on your bumper crop of a year! My big Christmas gifts to my writing career are the pro versions of HootSuite & Evernote and membership in Copyblogger’s Authority program. I certainly overshot my reading goals but fell short on my writing. Just now able to sit at the computer for stretches again. My number one writing goal is to have my first nonfiction book out by summer. Here’s luck to us both. Wish I felt I had anything to contribute to the conversation on that score. It fell into my lap…and I’m grateful. I have three mystery series that I’m developing in the background so that when my platform is solid, I can launch them. I’m taking cues from a friend of mine, Maui thriller writer, Toby Neal. She put out 8 books in under two years after her platform was built. Spring-action. My nonfiction is developed from my most popular blog post. I know I have an audience there. If I hadn’t been working on my platform, I wouldn’t have a clue that people would want to listen to me about that subject. I think that is a point a lot of writers miss about platform-building. It’s a great way to figure out your voice and to figure out what your audience wants from you. Sally Hogshead has gathered the psychology and neuroscience behind some of this. Amy and I both took her personality assessment test. It measures not what personality type you are BUT the personality traits that resonate authenticity to others. Wow, Lori! You’re definitely back on track. Awesome. What was the most popular post? The one you’re basing your book on? Yep. Due to illness I only got 8 posts out last year and two of those were guest posts. But still most of my traffic came from a post I wrote back in April of 2012. “How Can You Afford to Live in Hawaii? How Can I Afford Not To.” It was the beginning of the Penny-Pincher In Paradise series of blog posts…all of them still get hits. I’ve done one local interview. As I regain my health, I’ll be doing more. Fun project. And a learning experience. Whatever else it turns out to be is gravy. Can I make a suggestion if you haven’t already bought the Guide to Literary Agents? Buy a year’s membership to querytracker.net. If is an excellent tool for finding agents and publishers and tracking all your submissions to them. The non-paid version is excellent, but as soon as I started querying two different projects, upgrading became well worth the money. It’s become indispensable for me. Well, I have purchased the guide, but I’ll likely have a look in any case. One can never have too much agent data 🙂 Thanks, Matt.